I really am so very lucky to do what I do in such a beautiful part of the world. 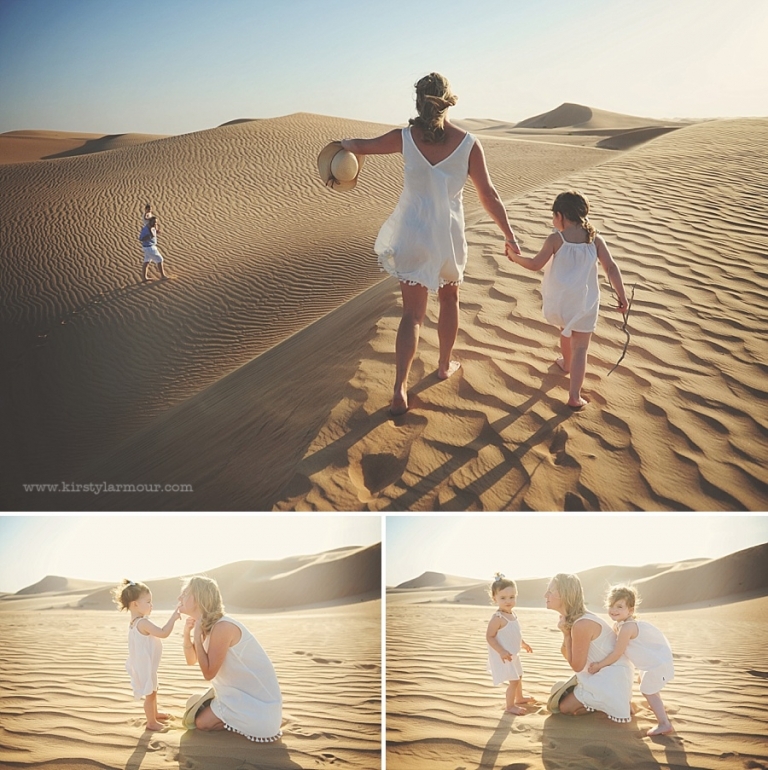 When people contact me for an Abu Dhabi desert shoot we chat a lot about where and when and what to wear and how the session will go – there is a little more planning needed than for a regular in home lifestyle shoot. But when it’s a family I already know and adore that whole planning process is a breeze – they turn up, and they know what to expect, and I know what to expect – and all we need is for the beautiful light to cooperate, and on this shoot I think you’ll agree that it sure did!! This little foursome are just so beautiful….